Build-It FR is a dual-cured, auto-mixed, core build-up material highly recommended for use with Build-It Core Forms. Build-It FR received a 95% rating, and Build-It Core Forms received a 91% rating. Build-It FR is a fiber-reinforced, composite core material, which is dual-cured and contains fluoride. 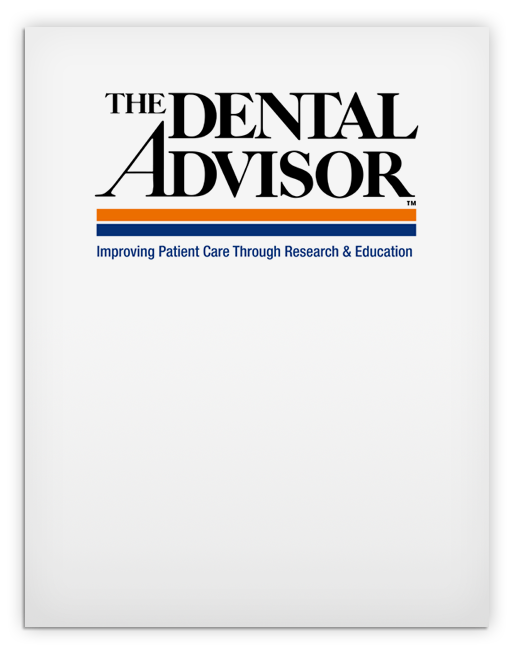 Unlike BUILDIT, previously evaluated in THE DENTAL ADVISOR, Vol. 17, No. 5, June 2000, this product contains glass fibers in the composite matrix to increase compressive strength. 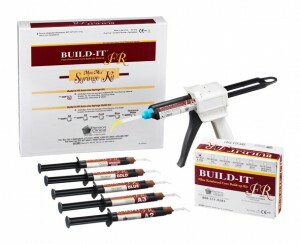 Build-It FR is supplied in 25-ml cartridge kit with mixing tips, intraoral tips, a dispensing gun and is available in 4 colors (A2, gold, blue, white). It is also avaliable in 4-ml Mini-Mix syringes. It may be bonded to tooth structure with Bond-1 primer/ adhesive or other bonding agents. A set of 150 disposable, clear, flexible vinyl forms in 6 different sizes are available in the Build-It Core Forms kit to be used as a matrix for core fabrication. Build-It FR and Build-It Core Forms were evaluated by 16 consultants in more than 225 clinical cases. The delivery, dispensing and consistency of Build-It FR were judged to be excellent. The ability to use intraoraltips and to place the material directly into the preparation results in good adaptation of the composite to the prepared walls, pins and posts. Working time is adequate, and the set of the A2 shade can be initiated with a curing light. The set core provides some resistance to preparation and results in a smooth final surface. The A2 shade is particularly useful for anterior cores and also can be used as an esthetic interim restoration, while the gold and blue colors are indicated for posterior teeth. The size selection of Build-It Core Forms is sufficient for most clinical applications. The forms are helpful when little or no tooth structure remains, and they also minimize the amount of waste. Seventy-three percent of consultants rated Build-It FR as better than the product they were currently using, and 87% would both purchase and recommend it.